Flanked by a pair of representatives of Zoetis, sponsors of the FFA competition, are FFA Advisor Elizabeth Ammon, Kassie Sandborg, Carlene Simpson, Honesty Drake and Waylon Miller. 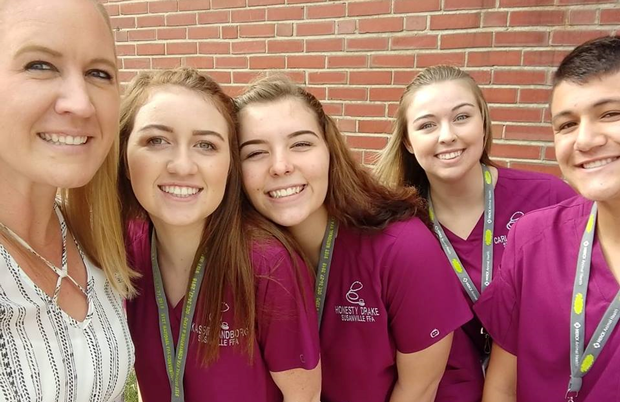 The Susanville Future Farmers of America Veterinary Science team traveled across the country to compete at the FFA Nationals in Indianapolis this week and brought home perfect scores and high marks in the two-day competition. 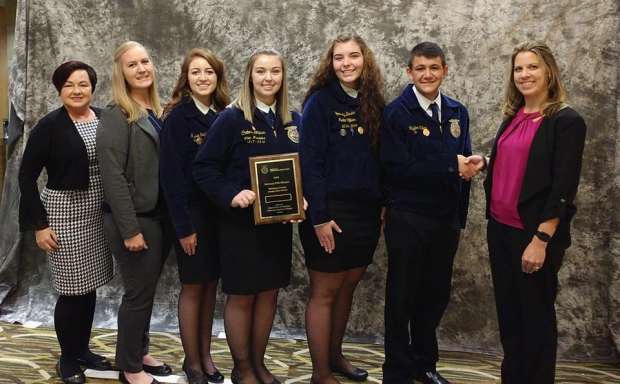 It’s been a long journey for the FFA’s Veterinary Science team who won at the state level in San Luis Obispo last May, qualifying them to compete at Nationals. Distance has made practicing difficult according to Ammon. Kassie Sandborg, who graduated in June moved to Minot, North Dakota for college and Carlene Simpson moved to Lexington to attend University of Kentucky. Honesty Drake is a senior this year and Waylon Miller is a sophomore. On Sunday the group met up in Indianapolis for the two-day competition. For the writing portion the Susanville FFA’ers had to write an essay about the current opioid shortage and how it is impacting veterinary medicine. The tests included a general knowledge test (from 14 sources) and a math test (includes drip rates for medicine, conversions and interpreting prescriptions). Eight practicums were randomly selected at Nationals. This included filing a syringe, subcutaneous injections, planning a cat in a cat bag and preparing a cat for femoral venipuncture. The team did a skit on fear-free feline care, a topic they were given, and were judged for 15-minutes on preparing their skit, then immediately moved into a performance. 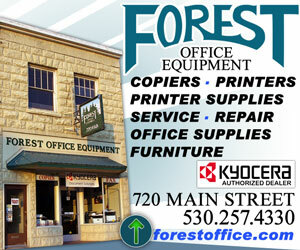 Each team member received a $1000 cash prize for winning Nationals. 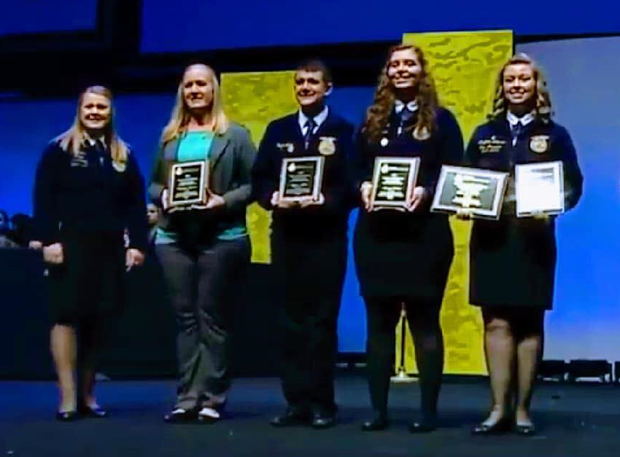 Seven other Susanville FFA students joined them after the competition, along with almost 70,000 others from across the nation, to attend the National Convention. It was a busy week for some of Susanville’s finest students and we should all be proud of their work and dedication. 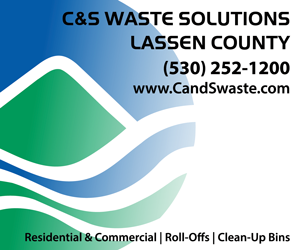 Thanks for representing Lassen County so well! Absolutely awesome. Congratulations. They have put Susanville on the map. Just doesn’t get any better. Incredible young people with an amazing advisor. Congratulations. Good Ol Chapter 13.